Stay connected even at 10,000ft in the air! Never miss a beat, even at 10,000ft! ROKKI Wi-Fi keeps you online and entertained throughout your AirAsia flight. Whether it’s enjoying free entertainment (movies, travel guides, games, and more! 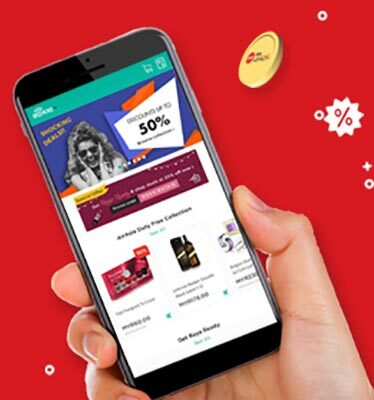 ), shopping exclusive deals, or using paid Internet access for your favourite apps, there’s something for everyone on the ROKKI Portal. Simply connect to ROKKI Wi-Fi for free during your flight to enjoy these offerings and earn BIG Points with every purchase! Ready for more fun and shopping on your AirAsia flight? Earn 1 AirAsia BIG Point for every MYR 1 spent on other products, not including connectivity plans. Turn on Wi-Fi on board ROKKI-enabled flights. Please ensure that your device is on "Flight Mode" when enabling Wi-Fi. Connect to "FREE AirAsia ROKKi Wi-FI" once the seatbelt sign has been switched off after take-off. Key in rokki.com on web browser to be directed to the ROKKI Portal. 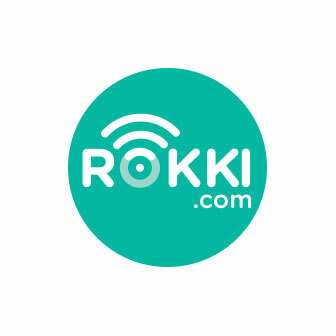 Connect to your BIG Member account on the ROKKI Portal. Start shopping and complete your purchase! BIG Points will be credited into your BIG Member account within 7 days from your purchase of connectivity plans and other products. Win up to 39,000 BIG Points! Simply purchase a connectivity plan or shop through the ROKKI portal onboard AirAsia flights to earn BIG Points and win! You can also just share the post for your chance to win 500 BIG Points! 10 winners will be randomly selected at the end of the campaign period. Contest period: Now - 6 Sept 2018. 1. This campaign (“Campaign”) is organised by Think Big Digital Sdn. Bhd. (“BIG”) and Rokki Sdn Bhd (“ROKKI”) (jointly referred to as “the Organisers”). 2. By participating in this Campaign, all participants (“Participants”) will be deemed to have read, understood and expressly agreed to be bound by the Terms & Conditions of this Campaign as stated herein and any additional terms and conditions stipulated by the Organisers (as may be applicable) including the decisions of the Organisers in all matters related thereto. 3. Information on how to enter forms part of these Terms and Conditions of entry. Registration for and/or participation in this Campaign is deemed as acceptance of these Terms and Conditions of entry. Acceptance of these Terms and Conditions is a pre-condition of entry. 4. This Campaign runs from 1st August 2018 till indefinitely unless advised otherwise by Organisers (“Campaign Period”). The Organisers reserve the right to amend or extend the duration of the Campaign at any time as they deem fit without prior notice. log on to their BIG member account on www.rokki.com (“Dedicated Website”) onboard selected AirAsia flight which ROKKI Wi-Fi is available prior to payment for purchase is made, in order to earn BIG Points. Members will earn points for purchases made on Dedicated Website based on the following structure. * shall be based on the price of each item exclusive of any discounts or voucher codes and shall exclude other cost elements, such as shipping, administrative fee, taxes, etc. Any transaction made using a foreign currency will be converted into MYR based on ROKKI daily currency conversion rate prior to BIG Points awarding. BIG Points will be credited to the BIG member’s account within 7 working days after purchase of the connectivity and non-connectivity products. The Organisers shall not entertain any claims for BIG Points where the BIG member have failed to log on to their BIG member account prior to any of the aforementioned purchase on the Dedicated Website. As such, no retrospective claim will be allowed. 7. The Organisers reserve the absolute right, at any time, to verify the validity of transactions and Participants. Without limitation, Participants agree to provide a copy of the identification card/Passport to the Organisers upon request. The Organisers’ decision in relation to all aspects of the Campaign are final, binding and conclusive under any circumstances and no correspondence nor appeal will be entertained. 8. Only Participants that fulfil the Campaign Terms and Conditions shall be eligible to receive the BIG Points. Participants that fail to fulfil the Campaign Terms and Conditions will automatically be disqualified from the Campaign without notice. 9. The Organisers reserve the absolute right to substitute and/or replace the BIG Points from time to time without any prior notice to the Participants. BIG Points will not be awarded for cancelled or returned purchases. 11. The Organisers reserve the right in their sole discretion to disqualify any Participant and/or to forfeit the BIG Points from any they believe has undertaken fraudulent practice and/or activities or other activities harmful to this Campaign or to the Organisers. 12. Participants may be contacted, at any time deemed appropriate by the Organisers, via email or any other mode of communication deemed appropriate by the Organisers. 13. The BIG Points are not exchangeable and/or transferable and cannot be exchanged or redeemed for cash. 14. The Organisers reserve the absolute right to cancel, terminate or suspend the Campaign with or without any prior notice and/or assigning any reason. For the avoidance of doubt, cancellation, termination or suspension by the Organisers shall not entitle the Participants to any claim or compensation against the Organisers for any and/or all losses or damages suffered or incurred as a direct or indirect result of the act of cancellation, termination or suspension. 15. The Organisers accept no responsibility for late, lost, incomplete, incorrectly submitted, delayed, corrupted or misdirected booking whether due to error, omission, alteration, tampering, deletion, theft, destruction or otherwise. 16. The Organisers, subsidiaries, affiliates, and associated companies will not be liable for any loss (including, without limitation, indirect, special or consequential loss or loss of profits), expense, damage, personal injury or death which is suffered or sustained (whether or not arising from any person’s negligence) in connection with this Campaign. 17. The Terms and Conditions contained herein shall prevail over any inconsistent terms, conditions, provisions or representation contained in any other promotional or advertising materials for the Campaign. 18. The Organisers reserve the absolute right to vary, delete or add to any of these terms and conditions (wholly or in part) from time to time without any prior notice to the Participants. 19. All expenses associated with this Campaign such as transportation and accommodation (if applicable) shall be solely borne by the Campaign Participants. 20. These Terms and Conditions may be translated into other languages. In the event of inconsistencies between these Terms and Conditions and the translated versions, the English version shall prevail. This “Earn & Fly with ROKKI” (“Campaign”) is organised by BIG Loyalty Sdn Bhd (formerly known as Think Big Digital Sdn. Bhd) (“BIG”) and ROKKI (jointly referred to as “the Organisers”). By participating in this Campaign, all participants (“Participants”) will be deemed to have read, understood and expressly agreed to be bound by the Terms and Conditions of this Campaign (“Terms and Conditions”) as stated herein and any additional terms and conditions stipulated by the Organisers (as may be applicable) including the decisions of the Organisers in all matters related thereto. Information on how to enter forms part of these Terms and Conditions of entry. Registration for and/or participation in this Campaign is deemed as acceptance of these Terms and Conditions of entry. Acceptance of these Terms and Conditions is a pre-condition of entry. This Campaign runs from 10 August 2018 till 6 September 2018 (“Campaign Period”). The Organisers reserve the right to amend or extend the duration of the Campaign at any time as they deem fit without prior notice. BIG Points earning will be based on the actual amount spent in RM on the Dedicated Website during the Campaign Period. Any other foreign currency will be converted into RM based on a rate solely determined by ROKKI prior to BIG Points awarding. The Organisers shall not entertain any claims for BIG Points where the BIG member have failed to log on to their BIG member account prior to any of the abovementioned purchase on the Dedicated Website. As such, no retrospective claim will be allowed. One (1) contest entry for every Eligible Purchase. There are total of eight (8) prizes for the contest to win from. *not including taxes and fees and based on seats availability. Each week, Participants will be grouped according to the contest entry period. They will then be sorted in ascending order by their purchase time & date and two (2) winners will be selected randomly every week throughout the Campaign Period. (III)Weekly winner announcements will be made on AirAsia BIG and ROKKI’s Facebook page within 7 days after each contest entry period. In addition to the above, Participants who share the Campaign post which is posted on AirAsia BIG’s Facebook page stand a chance to win 500 BIG Points. 10 winners will be selected randomly after the Campaign ends. Winner announcement will be made on AirAsia BIG and ROKKI’s Facebook page by 30 September 2018. Winners will be contacted, at any time deemed appropriate by the Organisers, via email or any other mode of communication deemed appropriate by the Organisers. If the selected winners are uncontactable or do not respond after three (3) attempts, the Organisers will select another winner. The prizes are not exchangeable and/or transferable. Failure to accept prize by the winners when required to do so shall constitute rejection by such winner(s) and the Organiser reserves their right to award the prize to another winner(s). The Organisers reserve the absolute right, at any time, to verify the validity of transactions and Participants. Without limitation, Participants agree to provide a copy of the identification card and/ or passport to the Organisers upon request. The Organisers’ decision in relation to all aspects of the Campaign is final, binding and conclusive under any circumstances and no correspondence nor appeal will be entertained. Only Participants that fulfil the Campaign Terms and Conditions shall be eligible to receive the BIG Points. Participants that fail to fulfil the Campaign Terms and Conditions will automatically be disqualified from the Campaign without notice. The Organisers reserve the absolute right to substitute and/or replace the BIG Points from time to time without any prior notice to the Participants. The Organisers reserve the right in their sole discretion to disqualify any Participant and/or to forfeit the BIG Points from any they believe has undertaken fraudulent practice and/or activities or other activities harmful to this Campaign or to the Organisers. Participants may be contacted, at any time deemed appropriate by the Organisers, via email or any other mode of communication deemed appropriate by the Organisers. The BIG Points are not exchangeable and/or transferable and cannot be exchanged or redeemed for cash. The BIG Points are subject to the BIG Membership Terms and Conditions. The Organisers reserve the absolute right to cancel, terminate or suspend the Campaign with or without any prior notice and/or assigning any reason. For the avoidance of doubt, cancellation, termination or suspension by the Organisers shall not entitle the Participants to any claim or compensation against the Organisers for any and/or all losses or damages suffered or incurred as a direct or indirect result of the act of cancellation, termination or suspension. The Organisers accept no responsibility for late, lost, incomplete, incorrectly submitted, delayed, corrupted or misdirected booking whether due to error, omission, alteration, tampering, deletion, theft, destruction or otherwise. The Organisers, subsidiaries, affiliates, and associated companies will not be liable for any loss (including, without limitation, indirect, special or consequential loss or loss of profits), expense, damage, personal injury or death which is suffered or sustained (whether or not arising from any person’s negligence) in connection with this Campaign. The Terms and Conditions contained herein shall prevail over any inconsistent terms, conditions, provisions or representation contained in any other promotional or advertising materials for the Campaign. The Organisers reserve the absolute right to vary, delete or add to any of these Terms and Conditions (wholly or in part) from time to time without any prior notice to the Participants. The decision of the Organisers in relation to every aspect of the Campaign including but not limited to the BIG Points award and Participants shall be deemed final and conclusive under any circumstances and no appeal or complaint from any Participants will be entertained. All expenses associated with this Campaign such as transportation and accommodation (if applicable) shall be solely borne by the Campaign Participants.